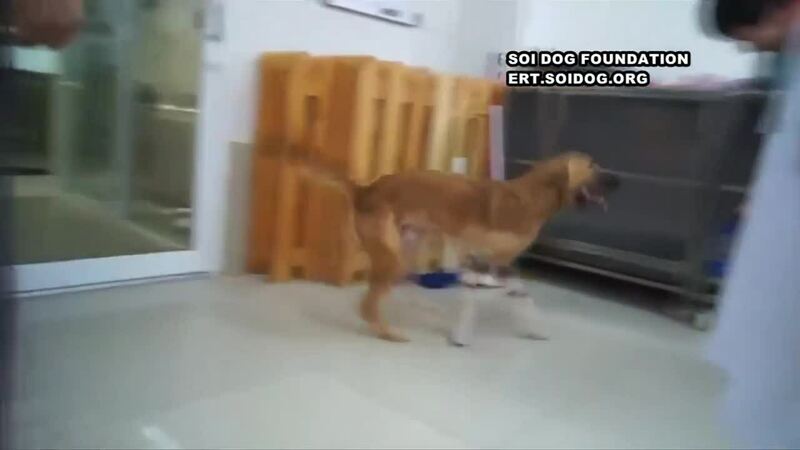 A 9-month-old puppy in Bangkok, Thailand, whose front legs were cruelly hacked off by a neighbor with a sword, has been given a new lease on life. Cola's owner contacted the SDF as well the local authorities, and the neighbor was detained. He was sentenced to one month's detention under the Animal Welfare Law.